Brand New Construction!! This home qualifies for FHA or VA loans and comes with a 10 year structural warranty and a full 1 year warranty. 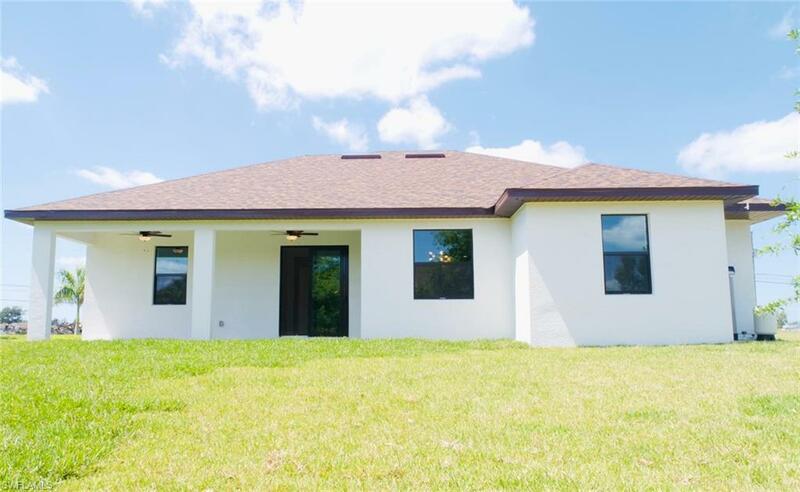 With 3 Bedrooms + Den , two full baths, this beautiful home is great for a family. 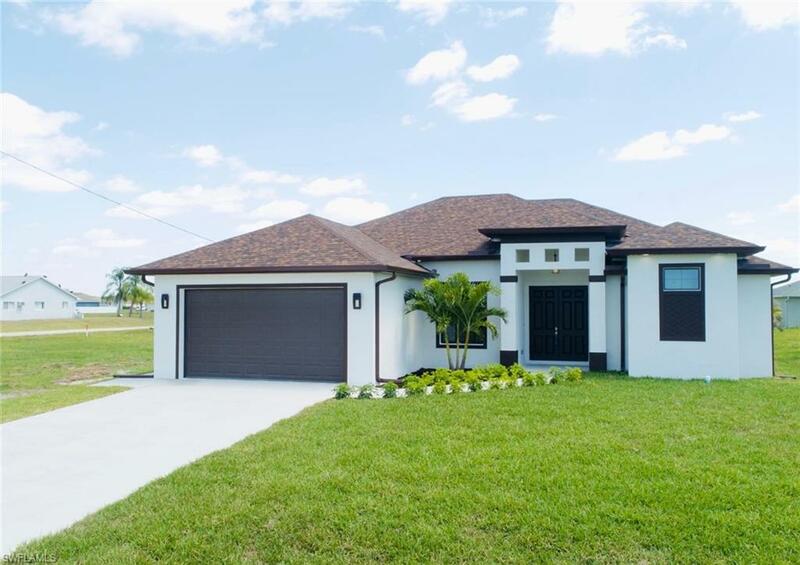 Outstanding quality and design, full of upgrades, prime granite tops, LED overhead recessed lightning, Samsung stainless steel appliances, tile flooring throughout the house with spacious 12' cathedral ceiling in the living room and 9'5" raised ceilings in all other rooms in the house. The home has high impact windows and a sliding door. The kitchen and bathrooms have 36"uppers with crown molding cabinets with soft close doors and drawers. The master bathroom has a double sink with granite and a walk-in shower, double shower heads and modern bathtub. There is a two car garage with pull-down steps to the attic. 3.5 Ton 16 seer HVAC system, 30 year structural shingles, upgraded landscaping with irrigation system and an electric garage opener. Check the virtual tour. 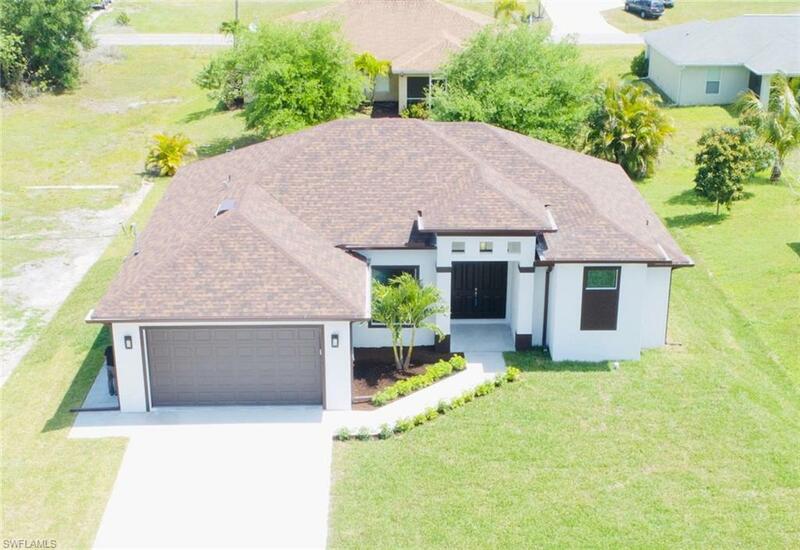 Not easy to find another top quality new construction in Cape Coral for this price !! 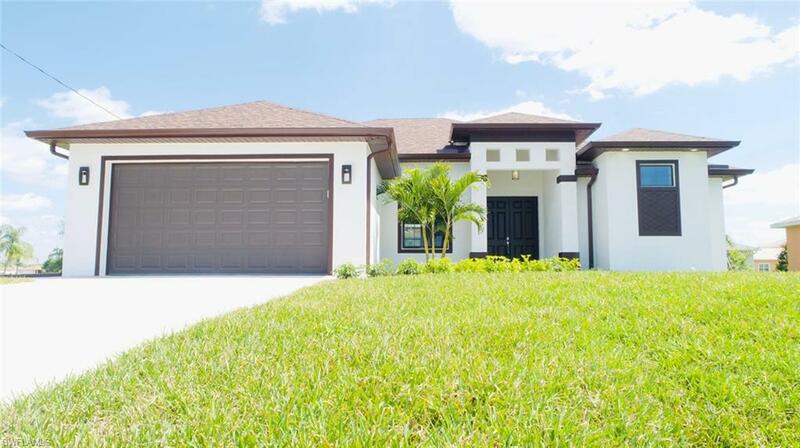 Listing courtesy of Fernando Gaitan of Real Edge Real Estate.